36 by 42 1/8 in. 91.5 by 107 cm. 50 1/8 by 48 in. 127.5 by 122.5 cm. 72 1/4 by 76 1/8 in. 183.5 by 193.5 cm. 58 1/8 by 53 1/8 in. 147.6 by 134.9 cm. 56 1/2 by 51 1/4 in. 143.5 by 130.2 cm. 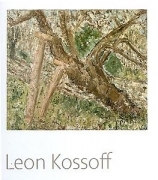 All images © Leon Kossoff. 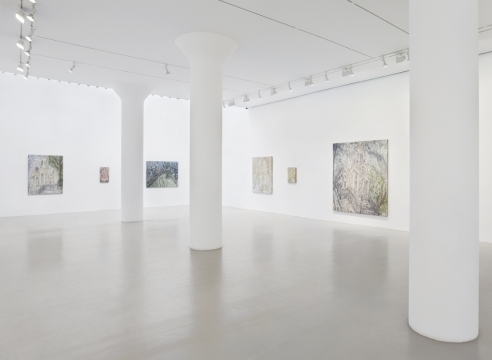 ARTFORUM Summer 2009 Leon Kossoff MITCHELL-INNES & NASH Leon Kossoff's painterliness invites us to scan the image of subconscious meaning—to play on Anton Ehrernzweig's idea of the way we approach what he calls "gestalt-free painting"—and the meaning we find involves what Freud called "primary process thinking," and traces of what D.W. Winnicott, elaborating and deepening Freud's idea, called "primary creativity," by which he meant the spontaneity innate to us all yet often stifled or channeled into trivial pursuits by society. 'It's very private, this relationship with paintings, how they get inside your mind... When you are drawing a painting you see and experience it differently, your mind wakes up.' 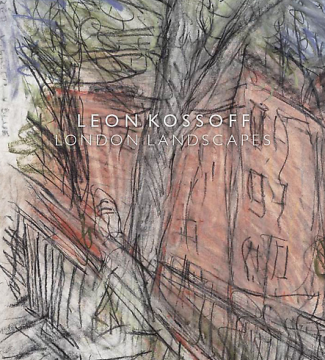 For most of his life, Leon Kossoff has been coming to London's National Gallery to study and sketch its Old Masters. With some of these drawings about to go on show at Frieze Masters Jackie Wullschlager joins the artist for a tour of his favorite paintings. 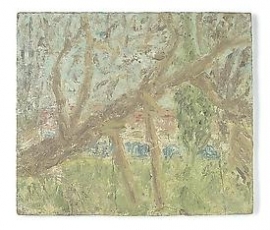 Leon Kossoff's painterliness invites us to scan the image for subconscious meaning--to play on Anton Ehrenzweig's idea of the way we approach what he calls "gestalt free painting"--and the meaning we find involves what Freud called "primary process thinking," and traces of what D.W. Winnicott, elaborating and deepening Freud's idea, called "primary creativity," by which he meant the spontaneity innate to us all yet often stifled or channeled into trivial pursuits by society. For pure cussedness it's hard to beat the London painters who came to prominence in the wake of WWII. 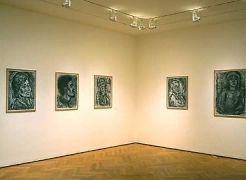 A generation younger than the abstract Expressionists artists such as Leon Kossoff, Frank Auerbach and Lucian Freud shared with their New York colleagues a sense of existential angst, expressed through an extended process of scraping out and overpainting that reflected their quest to encapsulate intense feeling by sheer insistence. 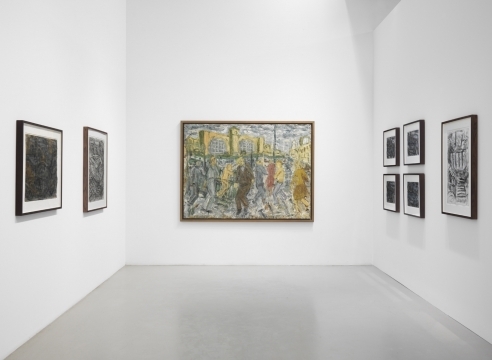 There is no getting away from the fact that Leon Kossoff's early paintings are deeply weird, "deeply" being the operative word. 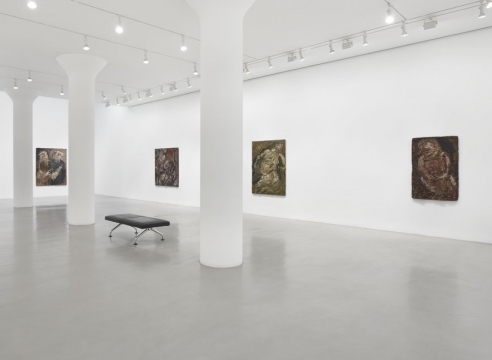 These works are more like some form of sculptural relief than painting per se – they are certainly as far as you can get, physically and theoretically, from Clement Greenberg's notion (contemporary with these works) of "ineluctable flatness."